so I decided to pull out an old Hero Arts stamp that is one of my favorite. These Poppies are so much fun to color and I really like the way this card turned out. I've used several Spellbinder Dies to cut the window in the card then make the frame around the opening. The image was colored with Copic Markers to match the accent papers. Hop on over to The Outlawz and look at all the other inspiration cards from the Design Team. Who knows, maybe you will decide this is the week to share your creation. Well, I've been very busy the past couple of weeks. If you have been visiting my blog on a regular basis, you may have noticed a few new 'adds' to my Design Team list. I've been so lucky to serve on blog groups with talented designers and next week I will be adding the next one to my list. I've know for a couple of weeks and really haven't started my term yet, but our lovely leader has consented to let a couple of us participate a week early. Our challenge this week is a card for a woman. 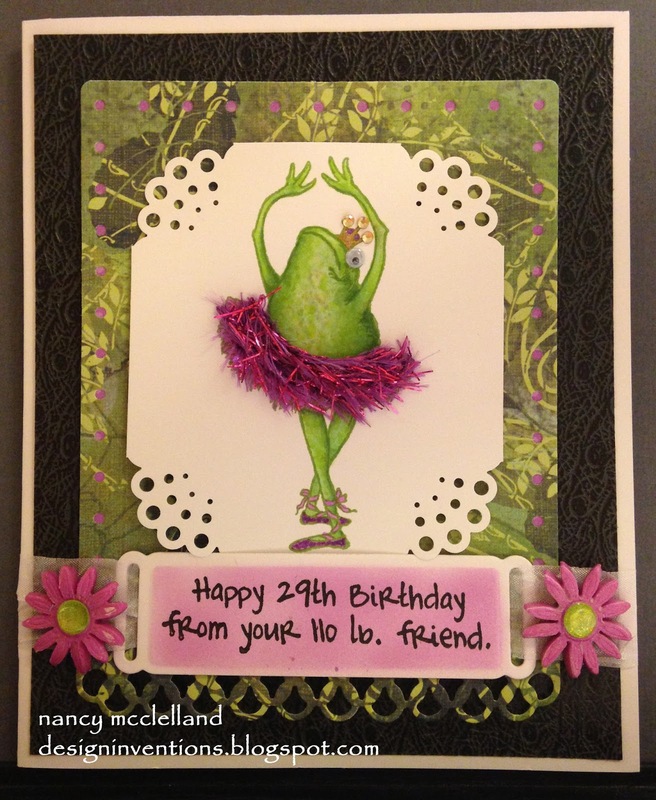 My card is probably not the usual colors that you might expect, but I sometimes feel not all woman like pink and frilly. There I said it. I don't like pink either and another fun fact is I don't like CHOCOLATE. Ok, I can hear some of you gasping right now, but sorry, not my favorite. 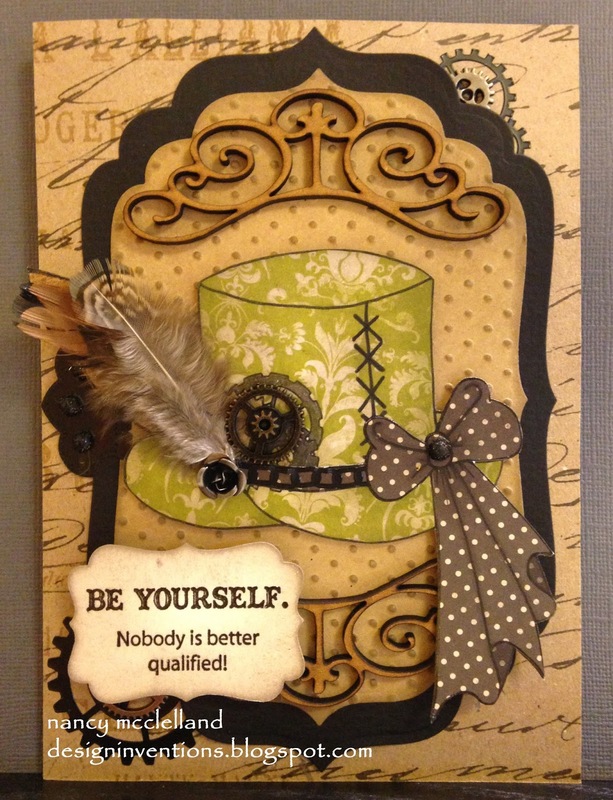 I did add the frilly feathers, a paper flower and a bow. 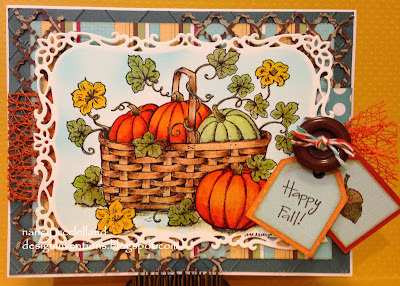 So, please mark your calendars for Saturday's to visit our blog and then go hide in your craft room. I recently made a card for one of my DT challenge blogs and then I discovered I had not followed the challenge rules. Well, I decided to share my creation anyway just so you could see the totally different take on the second card. This card has fun colors where the challenge card was supposed to be Black, White and one additional color. Hop on over and see the other inspirations. 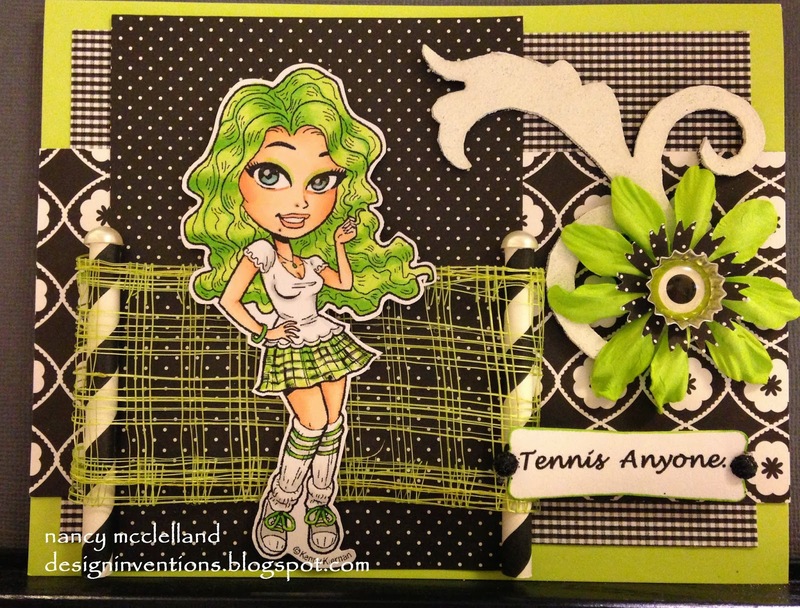 This week I have been working on finishing up the card packs that my sister sent me, so I have some more Marci to share. 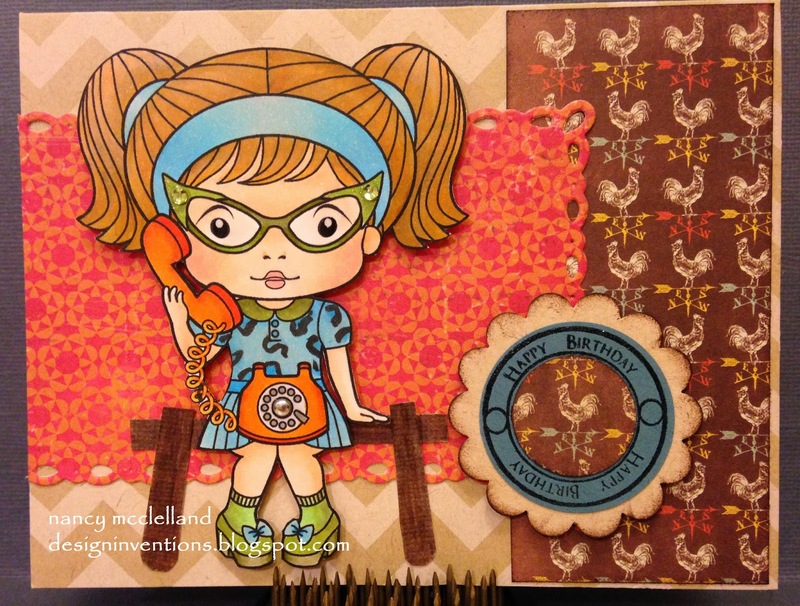 Here Marci is on the phone wishing you a Happy Birthday. I added the little bench for her to sit on. She's so cute with the bling on her glasses. Here Marci is peering out of the frame and again she's on the phone. This required me to color the top portion of the image and just trim off the bottom. I really want to thank my sister for the fun ideas and card packs. 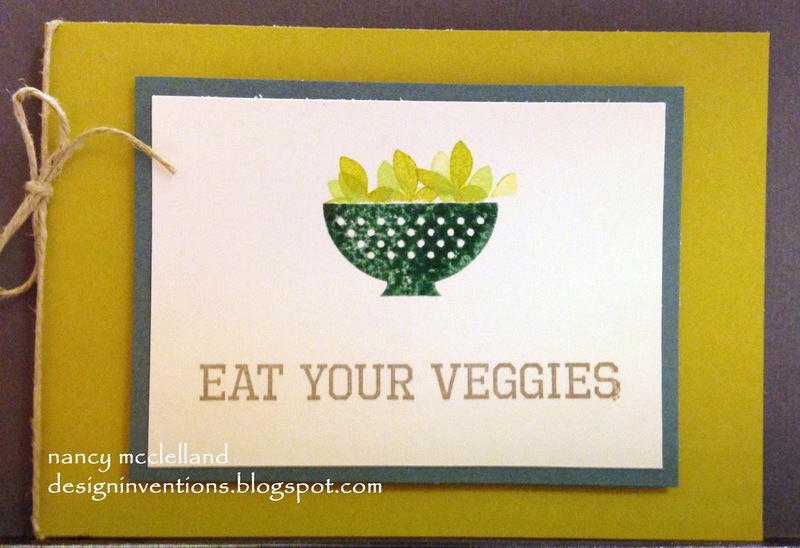 I have 2 more cards left to share, so stop in tomorrow. 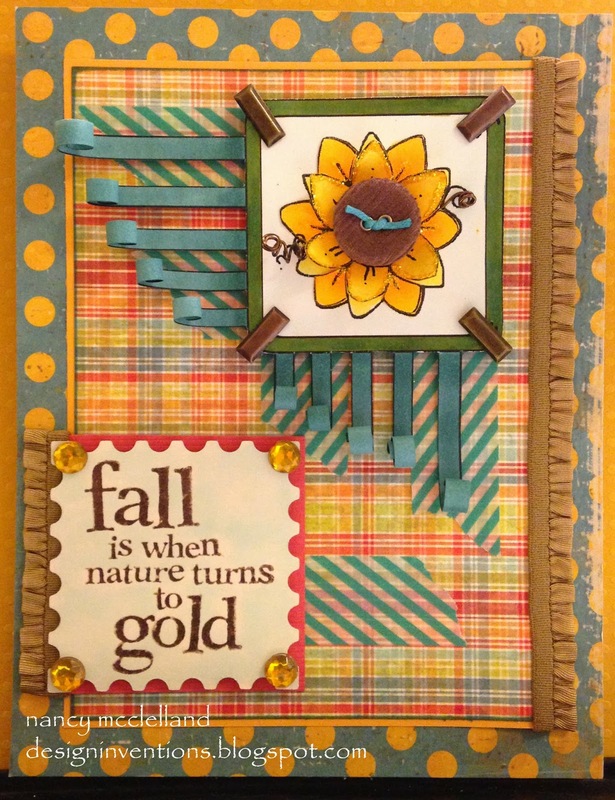 I had an opportunity to take a little time and just play in my craft room. 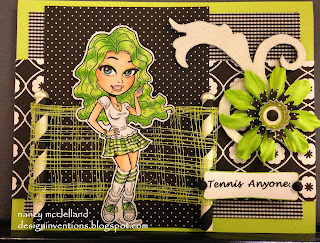 I finished my 'must do' cards finally, so I looked around to find something fun and different to color. I got this stamp set from There She Goes and had never used it. Now was the time. 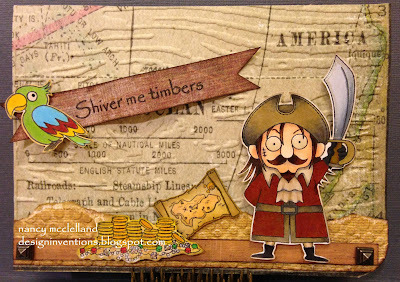 I used papers from Tim Holtz and was so lucky to have the map paper to use as my background. I used a wood grain embossing folder to add the texture. 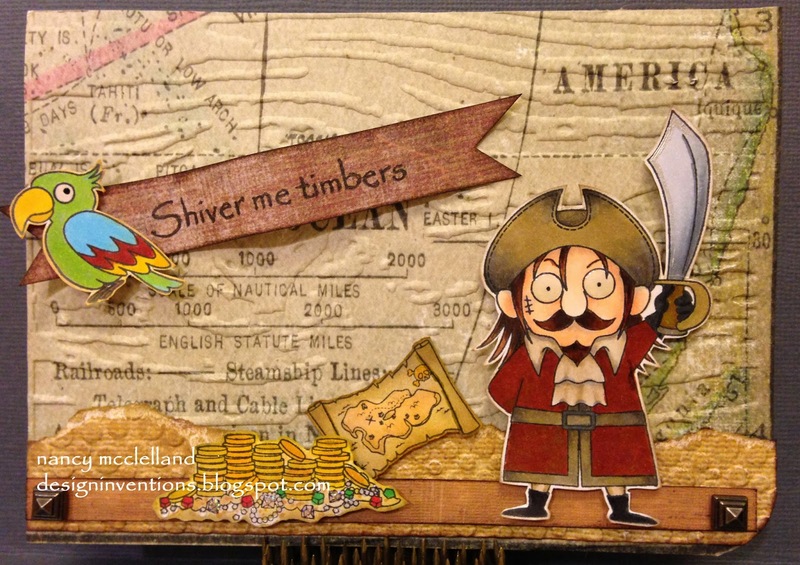 Image was colored with Copic Markers and I used some Stickles on the jewels running out of the treasure chest. Adding a few extra details and it finished. Its Monday and time for a new challenge at The Outlawz. 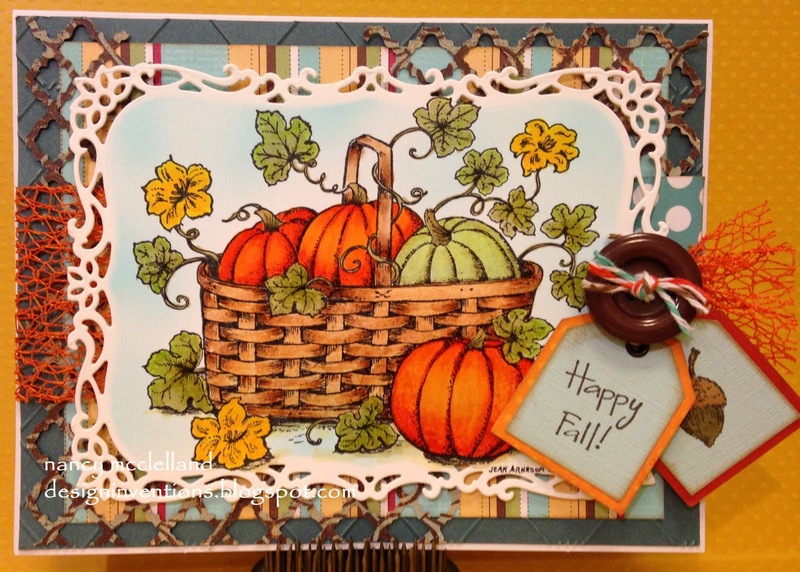 We are celebrating Fall, so we want to see all those cards and projects that have inspired you this season. 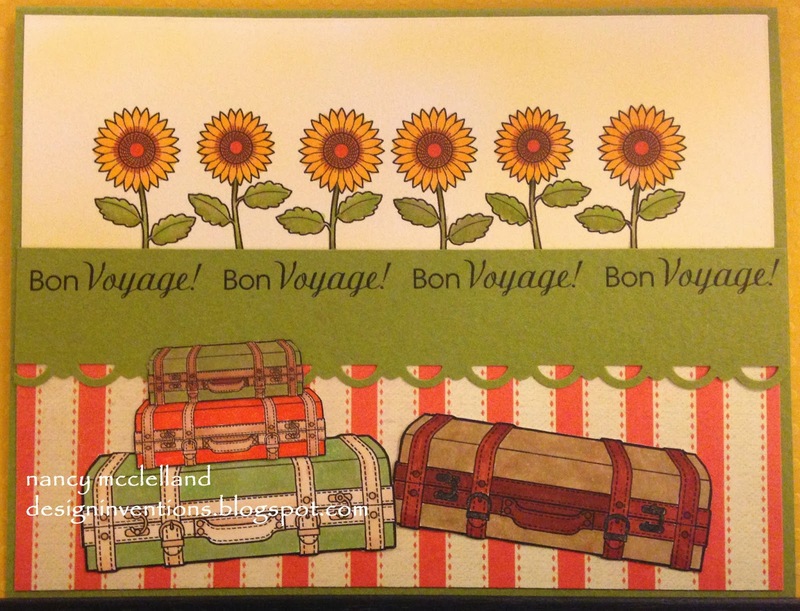 I'm featuring an image from Bugaboo that is a sunflower in a frame. The blue curls are part of the image and I chose to fussy cut them and then curl them for accent. The entire image was colored with Copics and of course there's that basic sentiment that's required for our Greeetings challenges. Hop on over and join the fun this week. 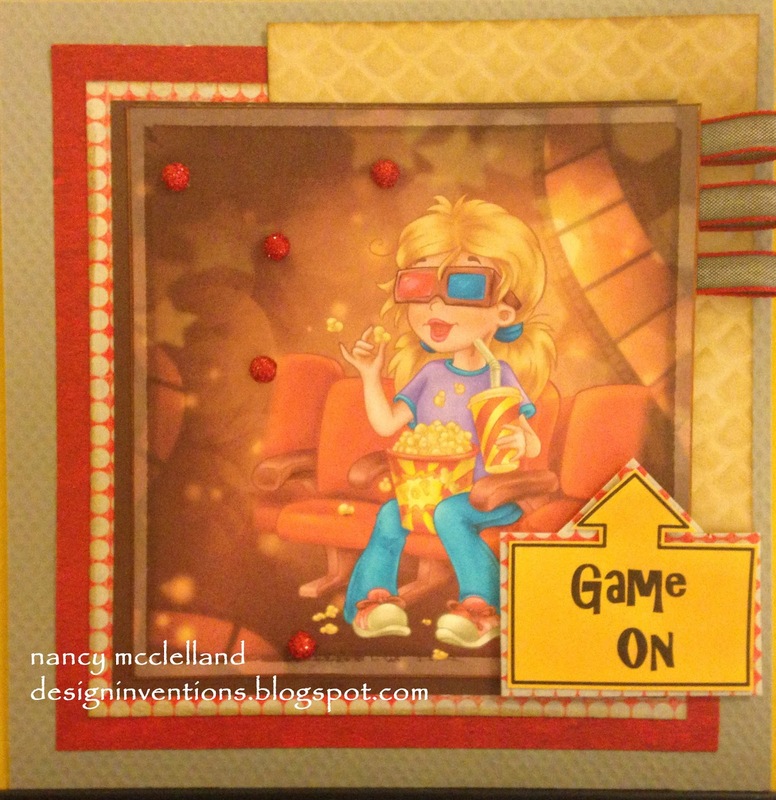 It's Sunday and time for a new challenge over at 613 Avenue Create. I chose to use White, Pink and Yellow on my Rick St.Dennis image. You can see many layers of white-on-white with the pink and yellow accents. Go on over and check things out and I hope you decide to join us this week. 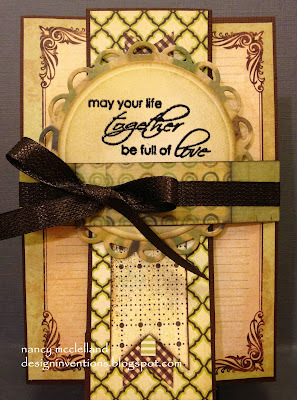 Well the other day I shared an Anniversary card for my Son and DIL. So this upcoming Tuesday is their Anniversary and then next Friday is her Birthday. 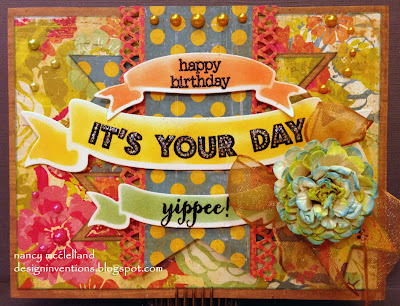 Today I put together her card with some ideas using banners. I saw something in a magazine using several banners, so I started pulling out my banner dies and here's my result. 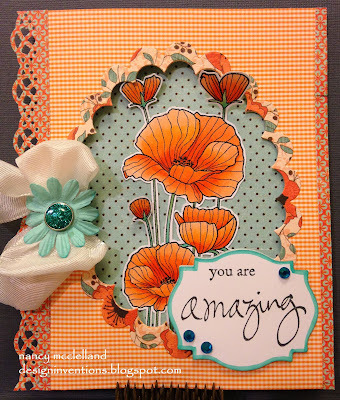 I'm taking a chance with this card because my DIL is really not a flowery girl and her favorite color is orange. this photo shows a little more orange on the top banner, but it is a rosy color. I stepped out of the box with the bow and paper flower. 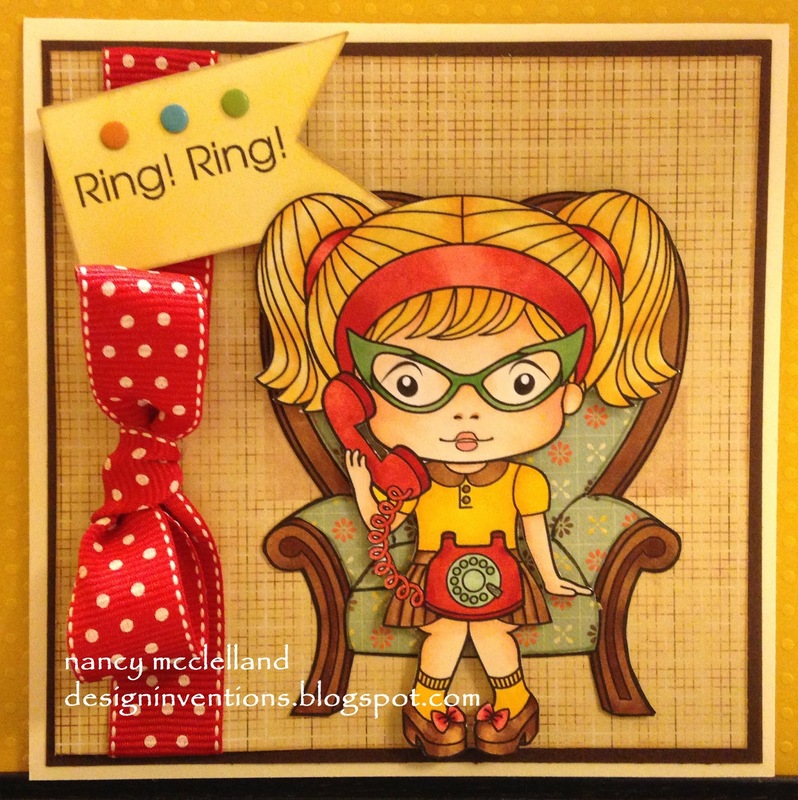 This card will probably be hand delivered or will have to be boxed if mailed. Wish me luck that she like the finished product. I was so excited when I got the news and today is the first week for me to participate with a card. and our theme is Halloween. 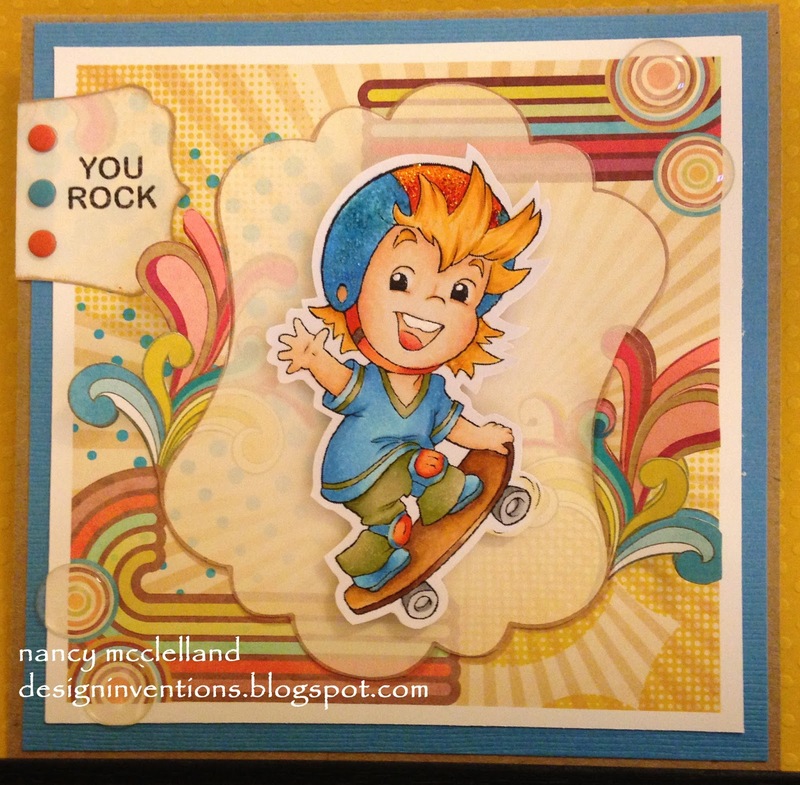 Here is my card, I used - digi 13605 Out Riding. I thought this image was so funny and I thought I had the perfect sentiment. I colored with Copic Markers and used several layers of paper as the base. 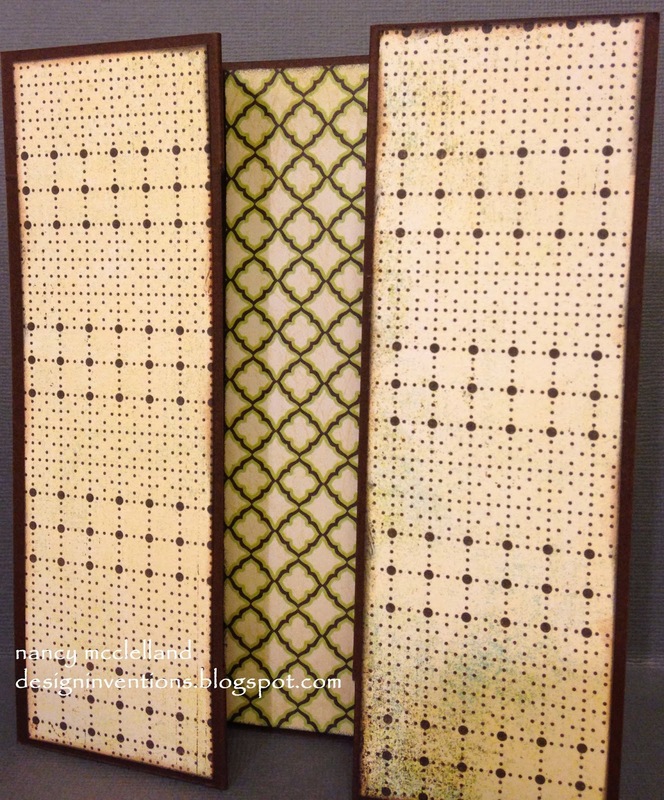 The fence at the bottom is a Martha Stewart border punch and I mounted it with a slight arch. The moon has some stickles on it, but it doesn't show up. The witch is mounted with foam tape and I hand cut the banner, along with curling the ends. 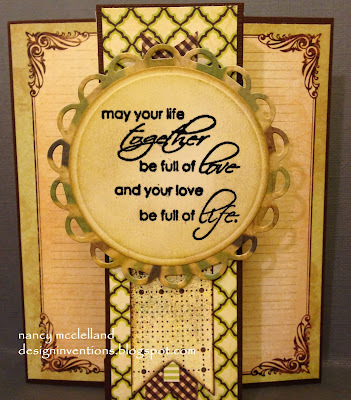 Today I'm sharing a special Anniversary card that I made for my Son and DIL. 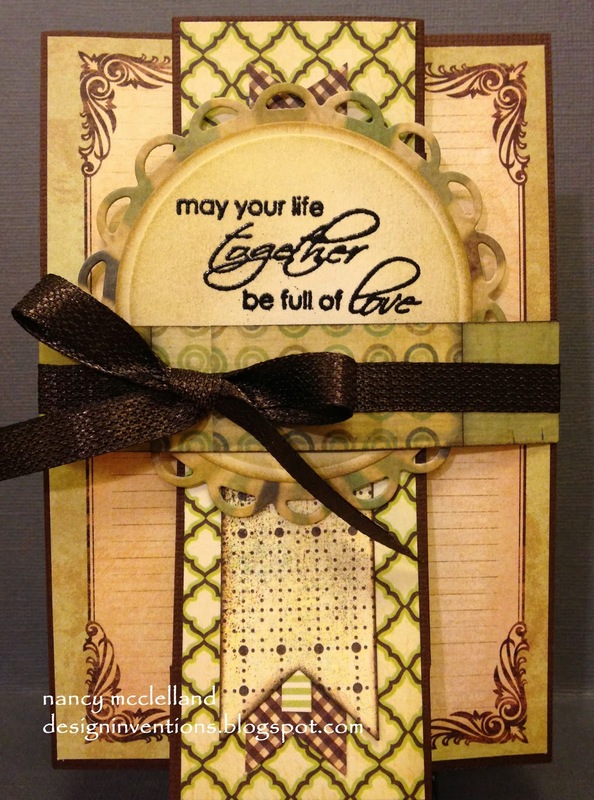 Their second anniversary is Tuesday the 24th and they always look forward to a card for their special occasions. I found a project with a Modified Tri-Shutter card on Split Coast, so that was my jumping off point. This was so easy and I know I will used this idea again. 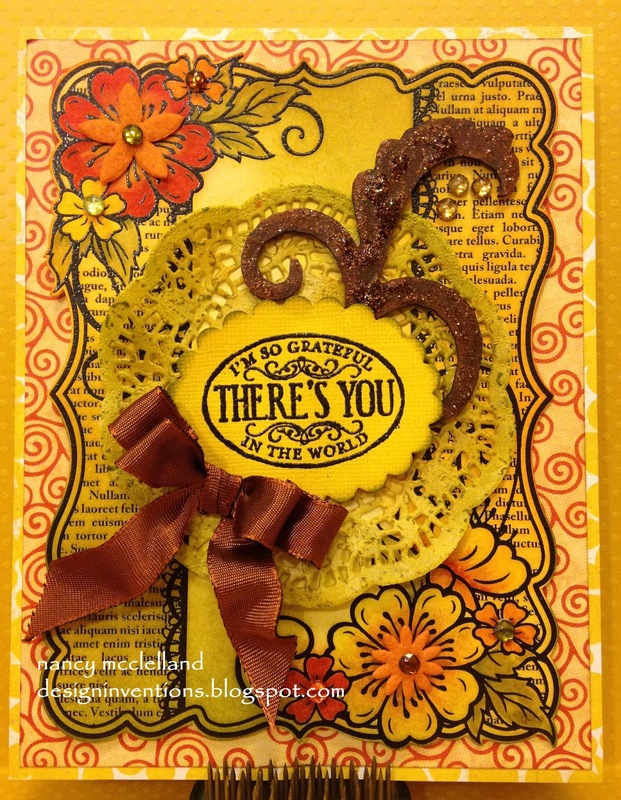 You can use this folded card for any occasion. 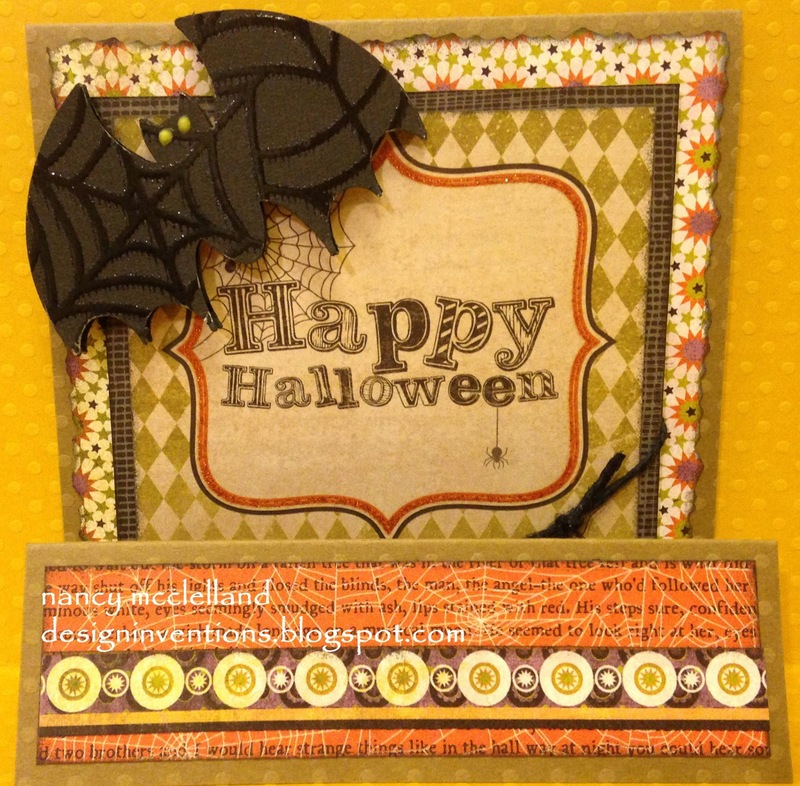 This is the front of the card finished with a belly band. 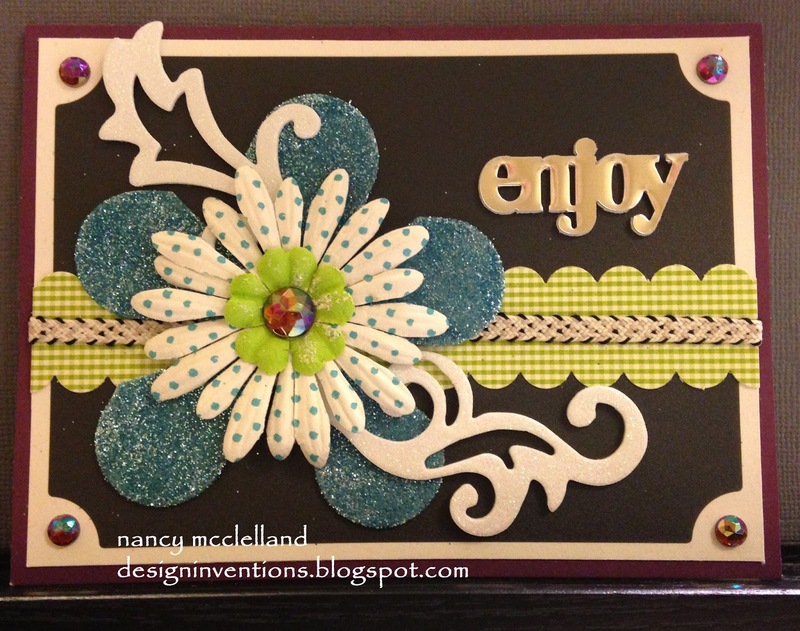 I finished the card by adding the decorative paper on all sides. Don't forget to go and download the instructions. So now I need to get this in the mail. So Fall will arrive very soon and today I have another card to share that focuses on the colors of the season. This image is a stamp from Northwoods. 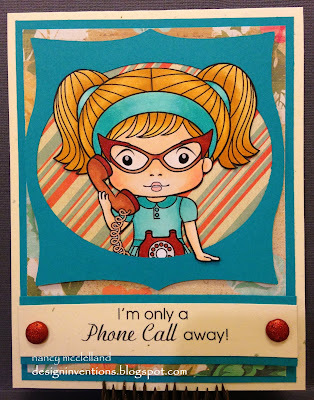 I love their stamps and they are all so much fun to color. While I was cleaning up yesterday I found this image that I had stamped some time ago. 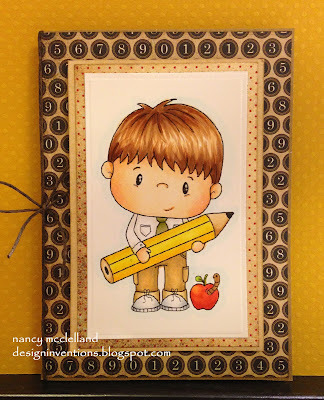 A couple of years ago before I entered the world of Copic Xpress It paper, I experimented with many other papers. 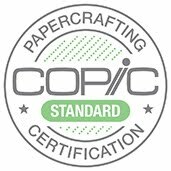 This image was stamped on a very heavy/slick paper that I thought I liked, well I'm here to say that I am very spoiled with Copic paper. I found it somewhat difficult to blend my colors, so I just colored the image the best I could. 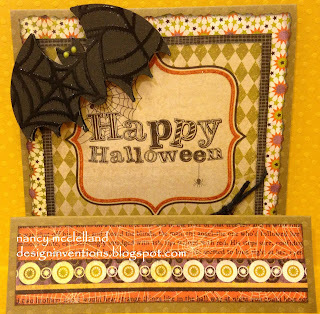 I used a a Spellbinder die to add the fancy edge and then pulled out the scrap papers to put everything together. Hope you enjoy and stop again soon. Today i decided that I had to clean thing up a little before I could move on. I've been working hard this week to get all my challenge post for the week completed and also maybe get a few completed for next week. I also have an anniversary and birthday card to complete this week. So during the cleaning process I stacked a few things that sparked my interest. The 2 (yes you read that correctly) cards below were completed with my scraps. These are some of my favorite cards to make, so let me know what you think. 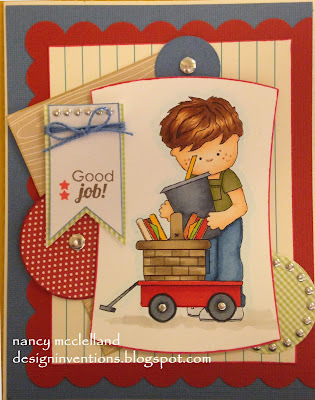 A quick post today to share this simple boy card. I guess that by having a new grandson, I have taken to coloring boy images. This little guy with his wagon is cute and fun. 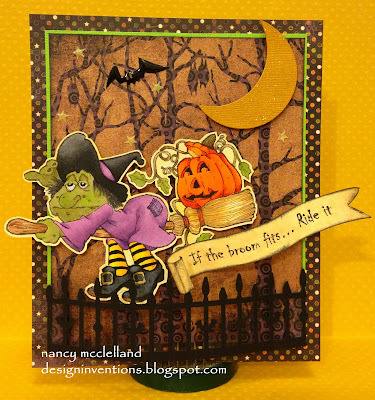 I went to my trusty scrap papers and pulled out several to make this card. 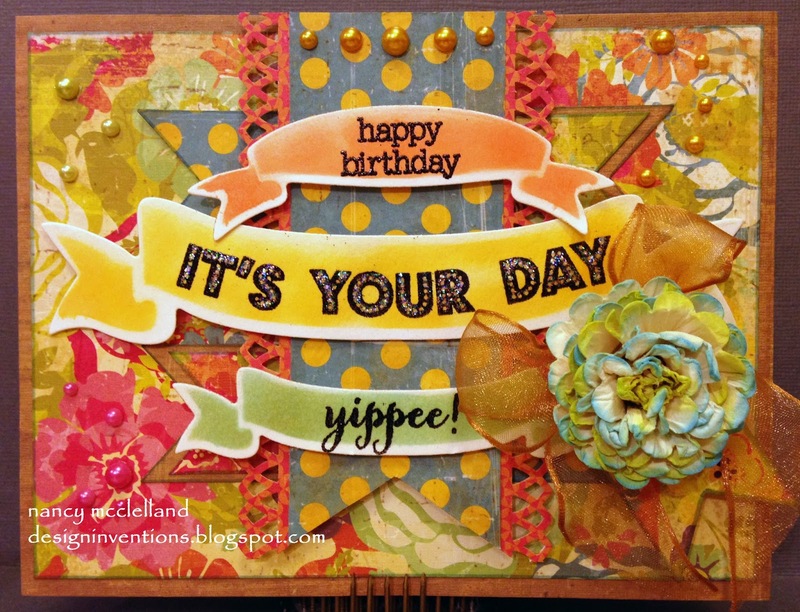 Monday Greetings Challenge at The Outlawz. Welcome to Monday and another Greetings Challenge. 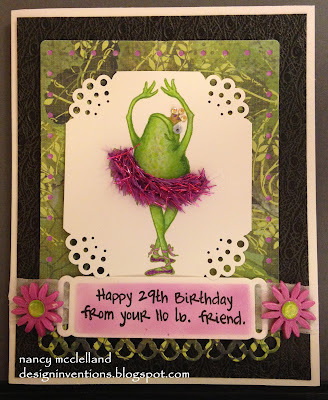 I believe this was one of my favorite challenges because I got to use my fun frog stamp from Stampendous and this Art Impressions sentiment. If you would like to be considered for the Design Team please put (DT) with your entry and if you would like to be our Guest Designer, (this is now a quarterly appointment) put (GDT) with your entry. If you would like to be considered for both then, yep you guessed it put (DT) (GDT) with your entry. The Guest Designer position will be till the end of the year. Please go over and check things out and join in the fun. Well I spent a liltte time in my craft room Saturday and then we had a visit from my Son, DIL and Grandson. They were in town doing some shopping and stopped to feed the baby. Well, one thing led to another and they left baby with me, they did some more shopping and came back to watch football on the big screen. I had started playing with a couple of digital images and paper from The Paper Shelter and printed off the image '3DMovie'. I usually color every image and then put together with my own paper, but today I decided to test out a card usually exactly the pre-colored digital image on the digital paper. So here's what I came up with after mounting the image on a card base, then added a few more paper layers. I added a computer sentiment, some glitter brads and ribbon. This is so quick if you need something fast and easy. I do somewhat feel like I am cheating, since I always color my images with Copic Markers, but I'm happy I made the card. The image does look a little better in person than it photographed, it has very clean and crisp lines. So the sentiment was fitting for TV watching today. I saw another Challenge the other day that I thought I would like to participate in, so I found an image and put together this card. I colored with Copic Markers and decided her hair should be a little funky. It is pink and yellow then I used some fun colors for her clothes. She has glitter wings and eye-lids. I hope you enjoy this little Angel, and Thanks for stopping by. Well, if you know me at all, one of my favorite stamps companies is LaLa Land and then I want everything Marci. I received a package yesterday from my sister and she sent me card kits from one of her Copic classes. I am the lucky one since she didn't have as many students as kits. I have 5 kits and was able to put one together and feature here today. The chair fabric is paper pieced and then everything else was colored with Copic Markers. I did have to supply my own ribbon and the one I choose might be a little heavy, so it might get replaced when I find exactly what I want. I hope you enjoy and thanks to my sister for the goodies. 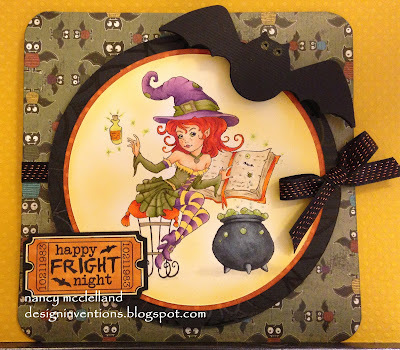 Keeping with my Halloween theme, I have another card to share that has a funny witch. 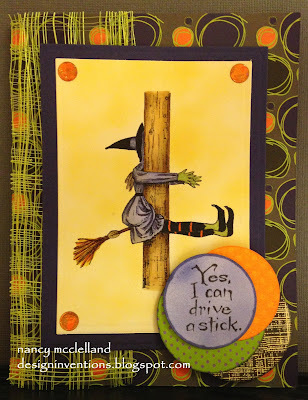 I'm sure that you have seen many different takes on this witch hitting the tree or pole, so I'd like to share one more. This is a stamp from Northwoods and I had a good laugh when I saw it. The sentiment is very funny. 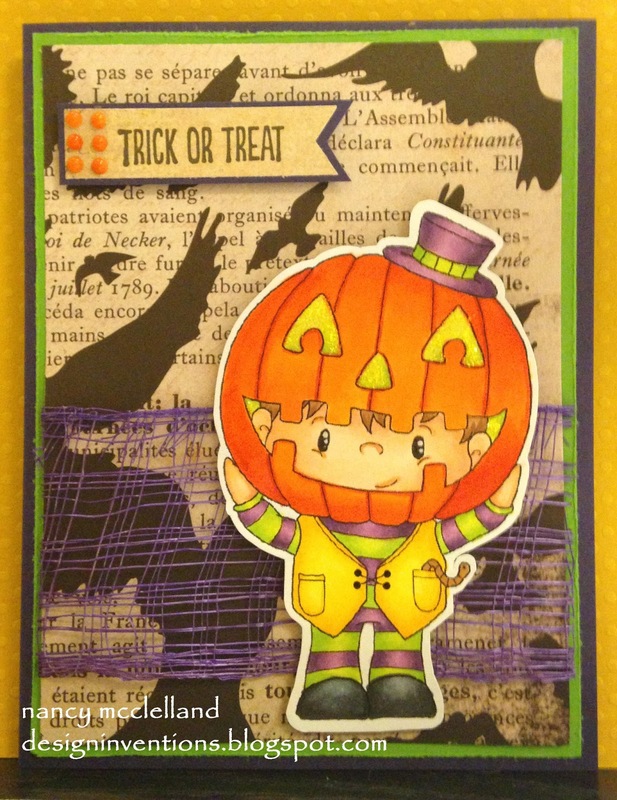 I colored with Copic Marker and used some Halloween papers to put everything together. I hope you get the laugh I did and you have a great day. Isn't this little guy adorable? I found this digital image the other day and I knew I had to color him up. 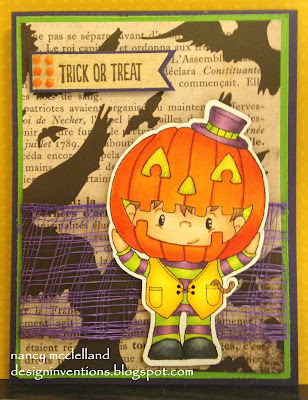 This is my first Halloween card for this year and I think its time for me to get out my Halloween supplies and make a plan. I colored with Copic Markers and used my famous scrap papers to make the card. I hope you enjoy this little card and it inspires you to get started on your Halloween cards. I was doing a little blog hopping and I came across this great site offering a fun color challenge. This color challenge goes right along with the beginning of fall and its colors. Always Artichoke, More Mustard and Cajun Craze. So what is this blog that offered up this challenge? This site fits me so well because I feel there's no better place to be and I spend quite a bit of time hiding, funny thing is that's the first place anyone would look for me. So can I really HIDE? 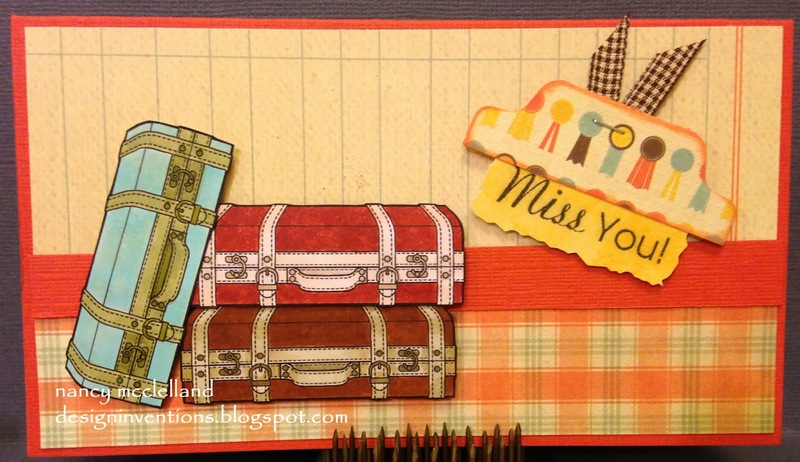 I used a stamp from Northwoods and colored with Copic Markers. 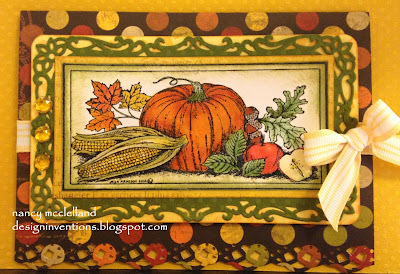 I now have a start on my fall cards and ready for a little cooler weather. It's Greeting Monday over at The Outlawz. 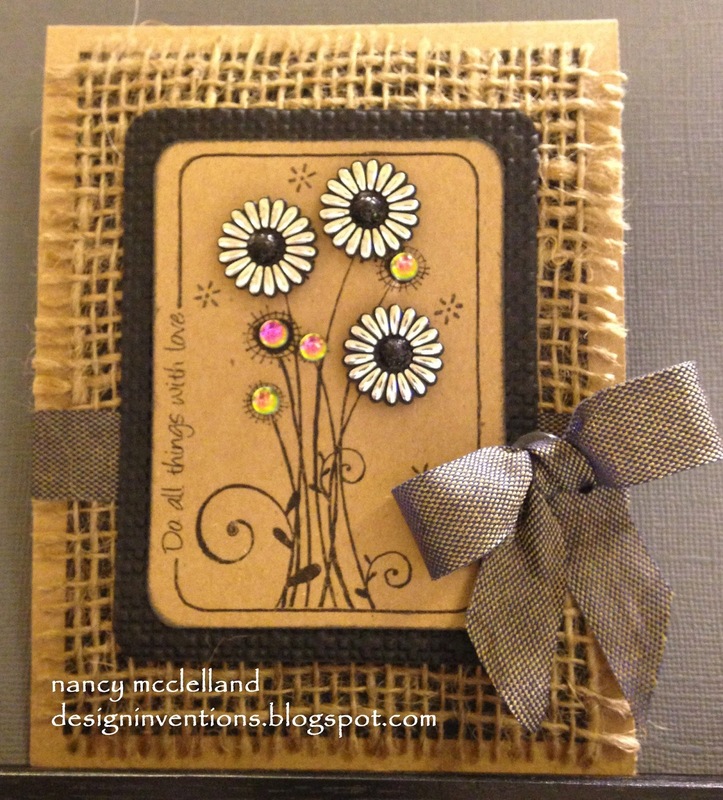 Do you like Kraft, Burlap and Beads? Well the The Outlawz have a challenge for you this week. My featured card has all the above. 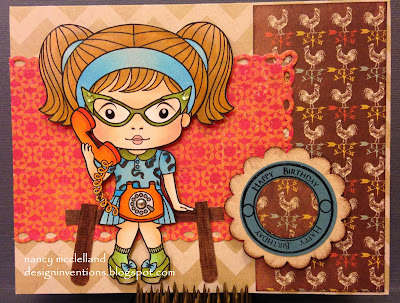 This image is from Bugaboo and I printed it on kraft paper, then cut it out. 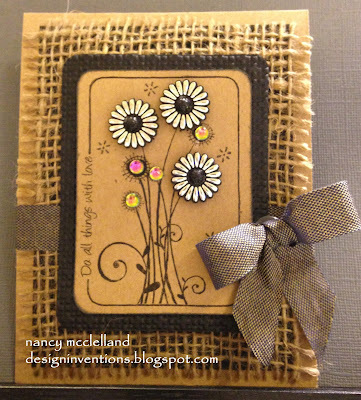 Mounted it on black and layered over the burlap. Added the bow, the beads and embellies. Hello again today. 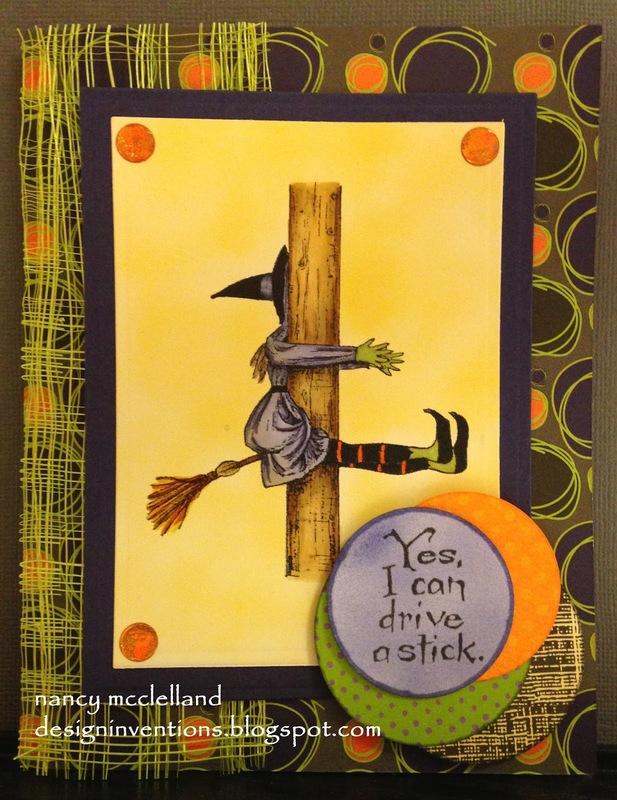 This is my second post because I have a new DT challenge to feature. Recently I joined the Design Team for the Hobbycutz Challenges, and this is my FIRST week to participate. My card has a couple of special features that are from Hobbycutz, they are the two wood, laser cut embellishments. I also have included some paper piecing, feathers, gears and other embellies. 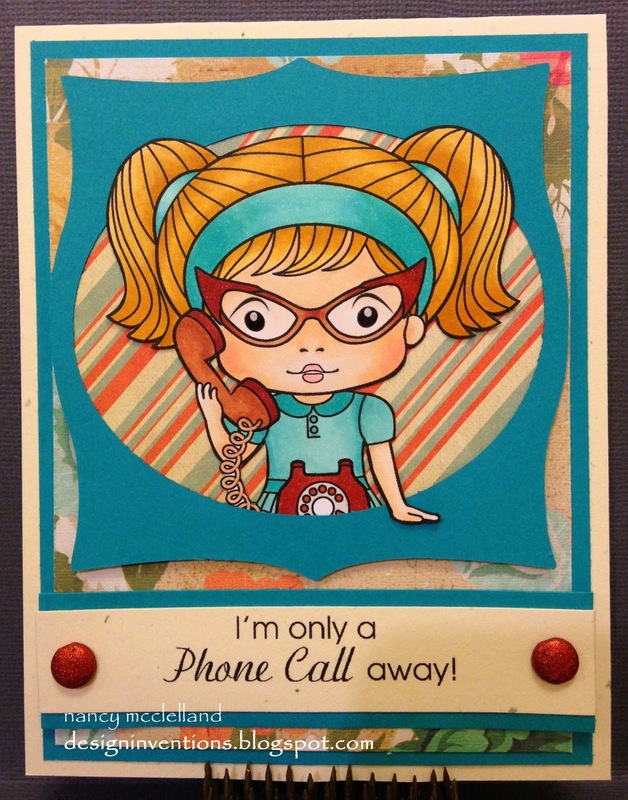 Please hop on over to the Hobbycutz challenges and check things out. Thanks for stopping by here again today. 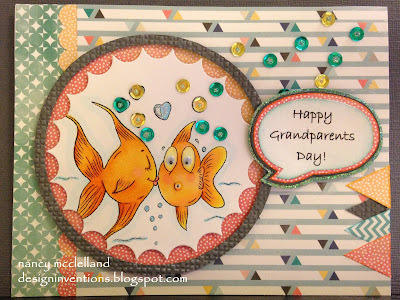 Its Grandparents Day and I am so excited because I can celebrate this year. I have a beautiful little grandson and cherish all the time I spend with him. I made a card representing Grandparents and their love for each other and grandchildren. 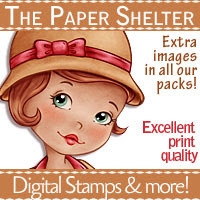 I love this little image from The Paper Shelter. I colored with Copic Markers and added some of my favorite papers. I placed sequins over the bubble for an accents. Relativity simple design but I really like the way it turned out. Thanks for stopping today and Happy Grandparents Day! 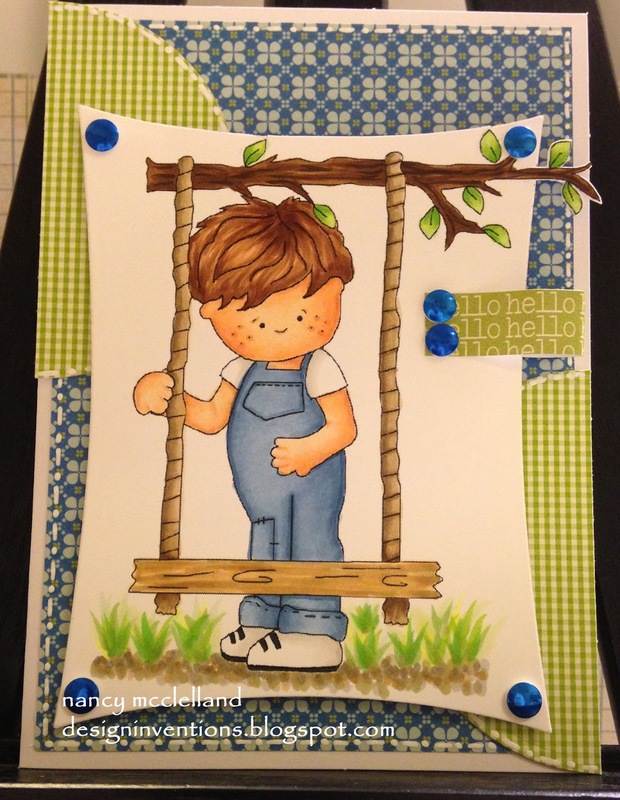 This little image is from Pollycrafts digital's and I just think he is so cute. I have a few extra images that I didn't use for one of my recent challenges, so this gave me the opportunity to color him up just for fun. Another strange thing you will notice is that there's no sentiment on the front. I have so many challenge assignments that require a sentiment, it was nice to leave it off the front. I colored up with my Copic Markers and used a very CAS design. 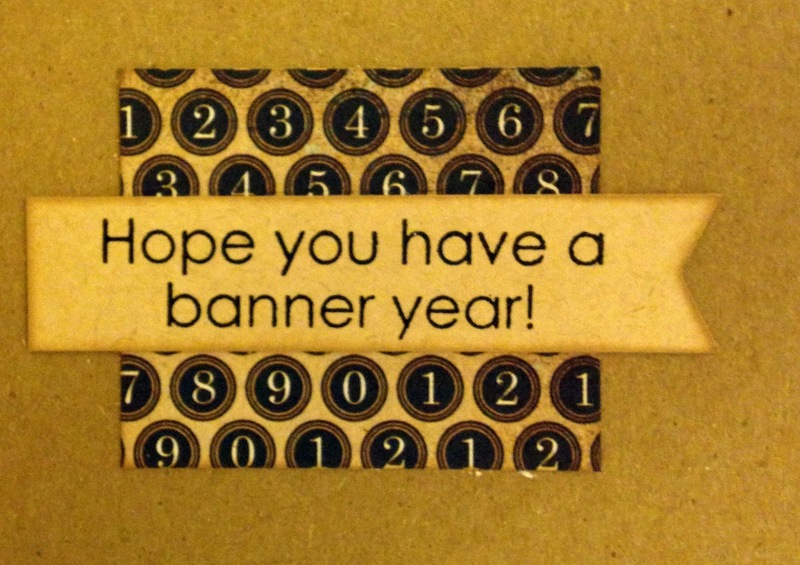 Here's the small sentiment that I placed on the inside. I hope you enjoy this cute little guy and thanks for stopping by today. So I received an email from one of the blogs that I follow and they have a DT Call. Well, I must admit that this is one of my favorite digital companies and I have enjoyed working with the images. 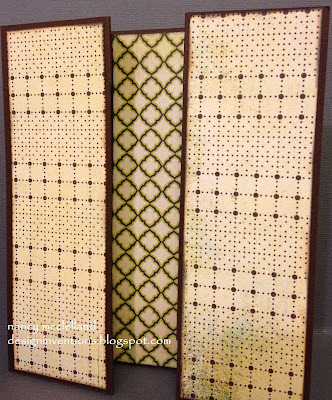 TPS is a sponsor for the 613 Avenue Create challenge blog and I have no problem finding an image for my DT challenge, in fact I usually can't make up my mind. This would be such a fun blog to be on, and I would be over the moon if selected. so here it goes. 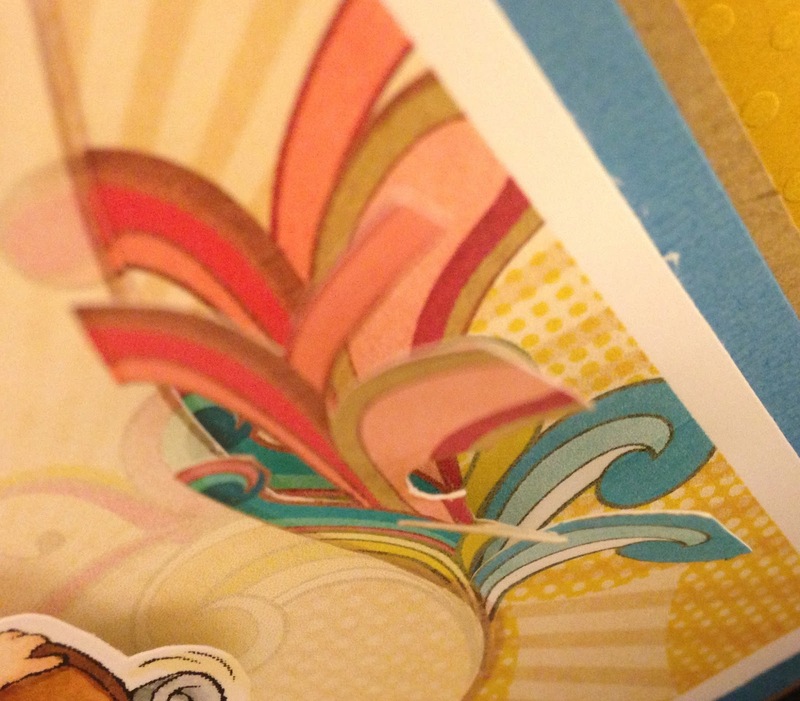 I usually just color up an image and put together a card with my own papers. Well, today I took both feet out of the box and colored up the image, then used the digital paper from TPS. I did put a little spin on it though. It may be hard to see in the picture, but I double layered the label part of the paper and then cut and popped the wave areas up on both sides. The image was colored with Copic Markers, I added a small sentiment and a few embellies. If you look real close you can see that he has a bright and shinny helmet! Now over to TPS to add my card, wish me Luck! 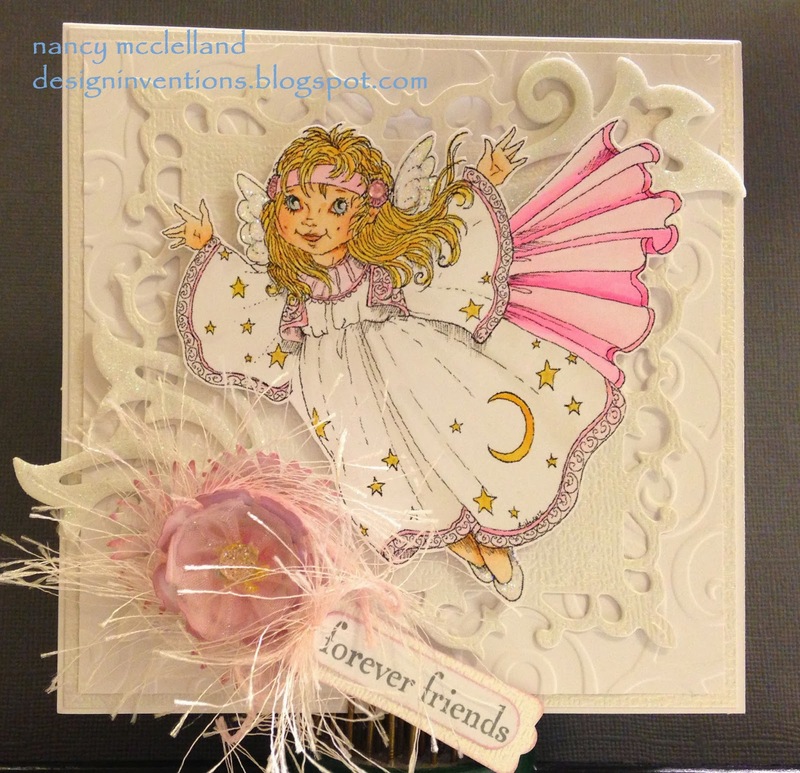 So here is my Glitter card. Sorry it is a little dark, but the card base is a deep raspberry color so that's why I've chosen the bling to accent that color. I was working with the Scrapbook Adhesives foam hearts and added the blue glitter to them. (I cut them in half first) Placing them on the card to make a flower shape and then layering several other paper flowers on top. The white glitter shapes I had in my stash. 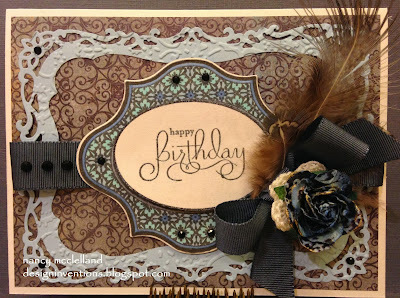 I must admit that I think glitter adds a special touch to a card, but I really don't like working with the loose stuff. My problem is that it gets everywhere and is so hard to clean up. The enjoy sentiment is pre-made with a mirror finish. 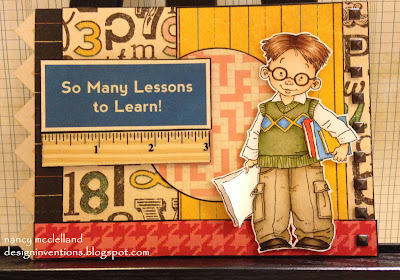 This Week over at The Outawz our challenge is 'Hi Ho Hi Ho, It's Back To School We Go'. I chose a Mo Manning image which should be no surprise. 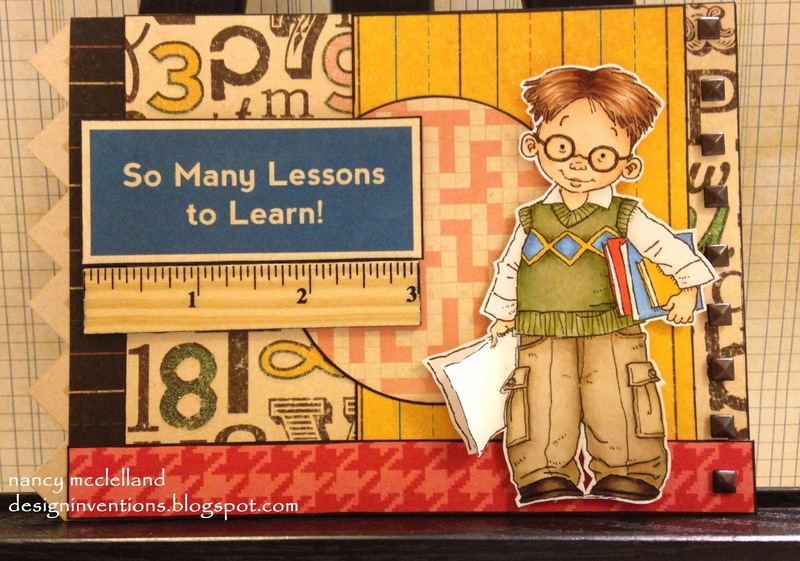 I colored with Copic markers and selected various papers from my stash to put this card together. 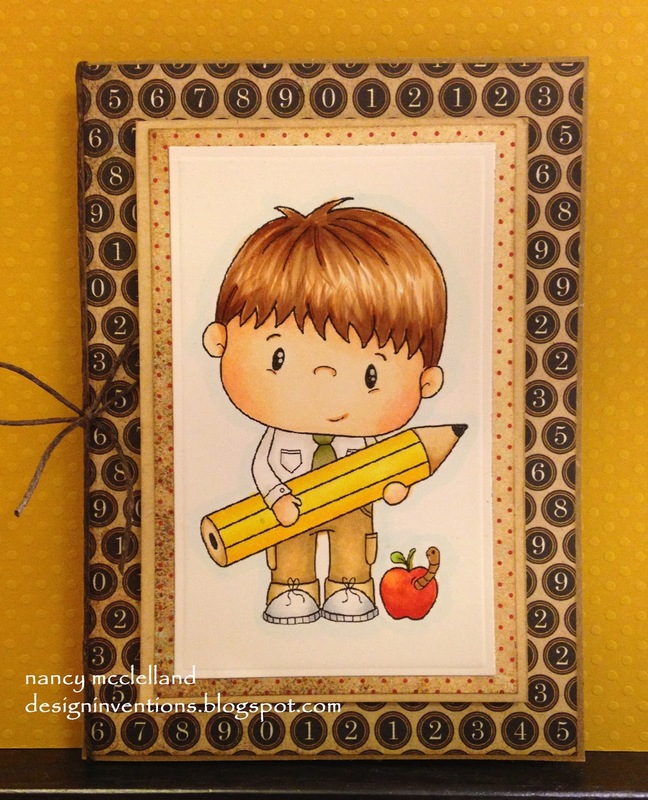 I picked up these little wooden rulers and decided I just had to use them for this challenge. Sharing a very basic card today. I've spent several days with my grandson this week and he changes everyday. He's growing so fast and this image makes me think of Jasper. He probably won't be swinging for a couple of years, but I see him on a swing like this soon. I hope you are having a great, relaxing Labor Day.